Smurfit Kappa Neuss GmbH produces a range of different packaging from solid and corrugated board, including fruit and vegetable boxes, hybrid retail ready packaging, fruit punnets, powder boxes, trays, flower boxes and window packaging. To handle the perforated cardboard packaging, Smurfit uses grippers with vacuum cups. However, the bellows vacuum cups previously in use would sporadically lose the packaging during picking, and suffered from premature wear. This made the system unreliable. FIPA was commissioned to retrofit the system. As a solution for reliable handling of the abrasive cardboard packaging, FIPA used Varioflex® vacuum cups. Bellows vacuum cups made from the composite material Varioflex®, a special polyurethane in two different degrees of hardness, consisting of a soft and flexible sealing lip plus a strong body. The flexible lip seals securely against the cardboard packaging, ensuring high holding forces and low leakage. The stable body absorbs high transverse forces and prevents the load from slipping sideways. Due to their low wear, Varioflex® vacuum cups have a long life cycle. Another component to the solution is FIPA ejector boxes, with high suction power for rapid evacuation. 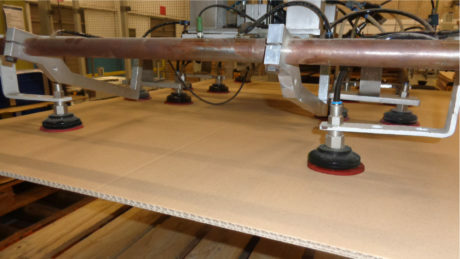 «The changeover to FIPA Varioflex® bellows vacuum cups for suction that works on the special surface of corrugated board and the switch to vacuum generation with FIPA ejectors has been a complete success,» says Dirk Keitel, Maintenance Manager at Smurfit Kappa Neuss. 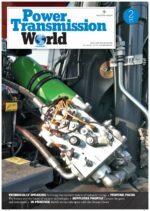 With FIPA Varioflex® vacuum cups and FIPA ejector boxes, the system now runs smoothly – with low wear.